For all the choice it gives you while playing, once you’re done with Fallout: New Vegas, you’re done. A new mod changes that by not only letting you jump back into the game after the story is over, but seeing your decisions reflected by the world around you as well. As PC Gamer report, FPGE (Functional Post-Game Ending), made by kazopert, expands on work done in previous mods (that just let you go back to playing) by actually reflecting the choices you made when it came to stuff like factions. You’ve all most likely heard of mods such as CAGE and Continue After Ending by McLion. Whilst these mods are great, and allow you to continue after you conclude the battle of Hoover Dam, that’s all they do. 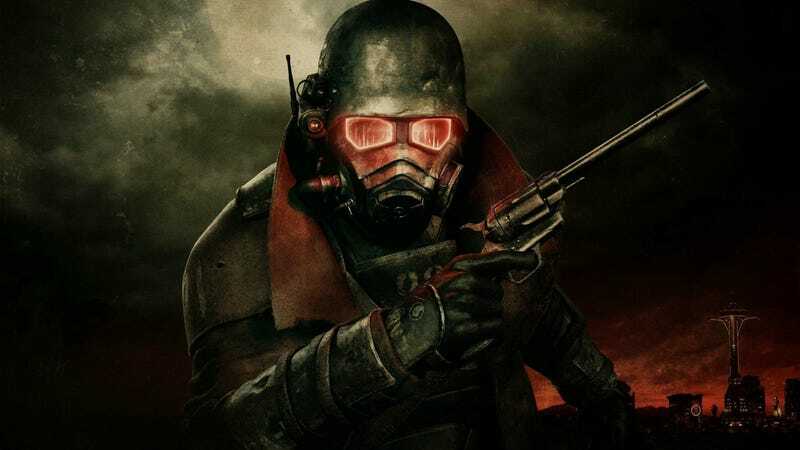 The world doesn’t change; the Dam battle still takes place as if nothing changed, if you help the Legion, they never take over New Vegas and NCR troopers are still around and act as if they haven’t lost yet, and if Goodsprings was taken over by the NCR, this isn’t represented at all. This is where this mod comes in. After two weeks, Hoover Dam is taken over by the respective faction and the fighting stops, the Kings will get eradicated by the Legion, if alive, the Brotherhood of Steel will take over Helios One and patrol the roads, and the Great Khans will evacuate their camp, taking everything with them. This is only a small portion of what can take place however, and there are a massive amount of things that change based on how you play. Not only this, but dialogue has been changed to represent whatever endings are chosen. Those dialogue changes mostly revolve around removing lines from the game that referenced events that are now in the past or no longer relevant. NCR citizens won’t say “We’ll show everyone that these are our new territories!”, for example, if in your game they end up losing them.